May 22, 2018 – The results of the Digital Strategy Fund’s 2017 competition came out. No less than 45 initiatives shared nearly $6 million in funding from the Fund’s first intake. 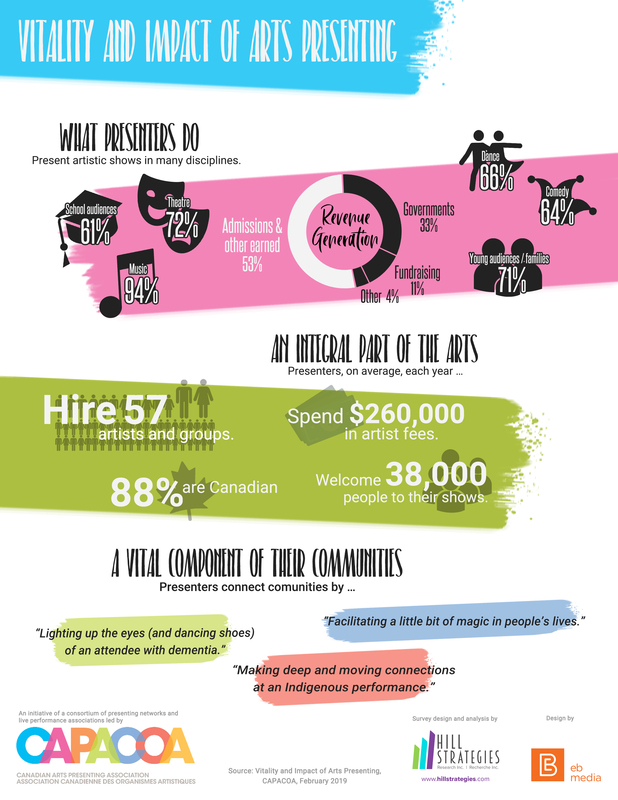 In order to inspire artists and organizations interested in applying for the next competition, the Canada Council for the Arts published a list selected projects with descriptions. To name just a few examples, selected projects involved open data, shared and accessible resources and knowledge, user-based approaches, laboratories, clinics, participatory approaches, hackathons, resource and data sharing and blockchain exploration. Prior to the release of the Digital Strategy Fund results, the Digital Innovation Council and the Digital Arts Service Symposium held a joint web conference to enable digital enthousiasts to share information about their work, and to envision next steps for a collective digital future for the arts. 20 participants attended “Where are we now? A digital catch-up” and the range of initiatives discussed was phenomenal. One of the participants and moderator, Margaret Lam from BeMused Network, charted the initiatives in this visual summary. Descriptions of the initiatives are available in a presentation and in the web conference proceedings. This visual summary contextualizes the initiatives that were outlined during the web conference on April 18. Interesting synergies emerged between projects, and visualizing them in terms of the stages of the projects, the people and organizations involved, and how they fit within Canada Council’s Digital Strategy Fund gives way to new insights. 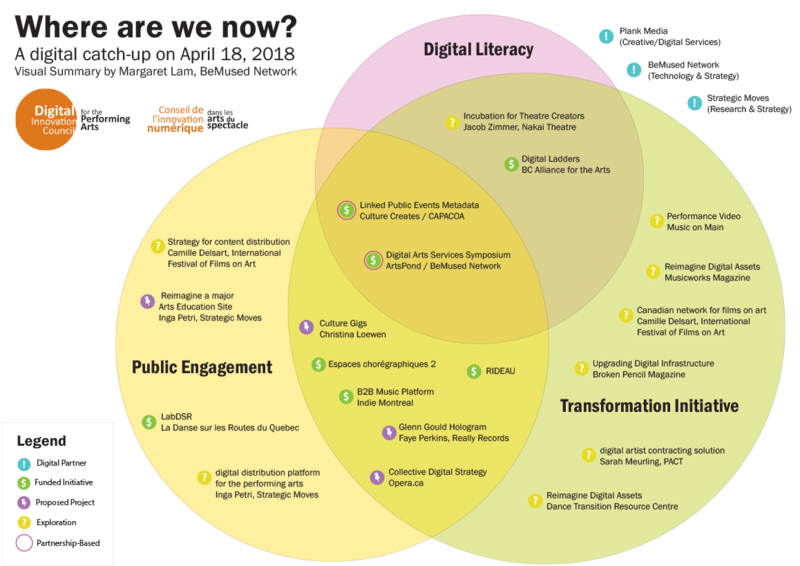 One of the striking features of this diagram is that none of the digital literacy projects existed solely in that category. They touch on public engagement or transformation one way or another, and in some cases, both. For more insights and reflexions, read Where are we now? A visual summary, by Margaret Lam.